The first time I slipped on those glasses, I wanted to throw up. Not for the reasons you think. I didn’t care that I had to wear them. I didn’t have friends to admire them; I had bullies to mock them and call me four-eyes, but those insults ricocheted right off of me (why, I don’t know – the taunts and teasing came often enough that I should have hated who I was). I was so ecstatic to get those plastic lenses capped in pink wire, the cheapest pair that could be purchased at Lens Crafters. Suddenly, after a whole lifetime of squinting and sitting too close to the tv, I could see. Sitting in the car, the world twisted around me and my eyes, so used to what they couldn’t see, continued to squint and move as I tried to adjust to 20/20 vision. It was completely overwhelming as every detail came into focus and my mind tried to keep up with the noise of texture and pattern and depth I hadn’t experienced in my life. The world was so crisp I could feel the vomit rising in the back of my throat. As we left the mall, we drove past a series of trees growing in the medium of the road – a Southern California staple. I glanced up, my eyes suddenly wide and focused. I could see. I could see every single leaf. I’ll never forget that feeling. For years, my life was out of focus. It makes me wonder all that I missed. If I could see every detail of something as inconsequential as a tree, the rest of the world had to be equally stunning, too. For the rest of my life, I will wear glasses or contacts. I take them off or out when I sleep, but as soon as I wake up, they’re back. I don’t love relying on them to see, but I accept them because they give me the gift of the world around me. The fur on dogs and the crisp gold flecks in Charisse’s eyes and a perfect full moon with defined edges and roses popping against the sage green of the bush upon which they grow and the words sharp black against the relief of a white page – I’d gladly do it all over again, every yearly visit and examination, for the ability to know the world around me by sight. At 30, it breaks my heart to think I spent the first part of my life struggling to see. Homework assignments, books, the tv shows I watched. If you placed me next to a first-year optometry student’s checklist of signs of near-sightedness, I would score 100%. Squinting to see things more clearly – yeah. Sitting close to the tv – that was me. Headaches and tired eyes – yep and yep. Holding books close to the face – absolutely. My life is measured by the books I’ve read, and I’ve held many close to my eyes. No one noticed until I was eleven, though. I knew, but I struggled against saying anything. Why, I’ll never understand. I remember wishing so deeply that I could see the board from where I sat in the back of the room. Maybe I didn’t think anything was wrong, even though it was hard to see. Maybe I thought all kids struggled like that and they just put their big kid pants on and dealt with it. But it wasn’t until sixth grade that my teacher, Mrs. Pritchard, suggested that I have my eyes examined. Somehow we worked up the money and when the glasses finally arrive, so did the world. The first time I put on God, I was 12 years old, sitting in the pew of a Baptist church in the coastal city where I spent my childhood. But everything about Him was wrong. He didn’t fit right, like a pair of glasses that pinched the bridge of my nose too tight, arms of the frames rubbing sore spots against my ears. The lenses didn’t help my eyes focus the right way, and so I decided after a few years of trying Him on that I’d rather just deal with life without because my vision was still blurry and it was still hard to focus. The pain came during these years where I walked away from finding frames that fit. I encroached upon and then stepped into the things that were bad, downright evil. I let men change my life. I let the world tell me what to believe. I let my voice speak angry words lacking in compassion. Without the focus I needed, I could not see straight. 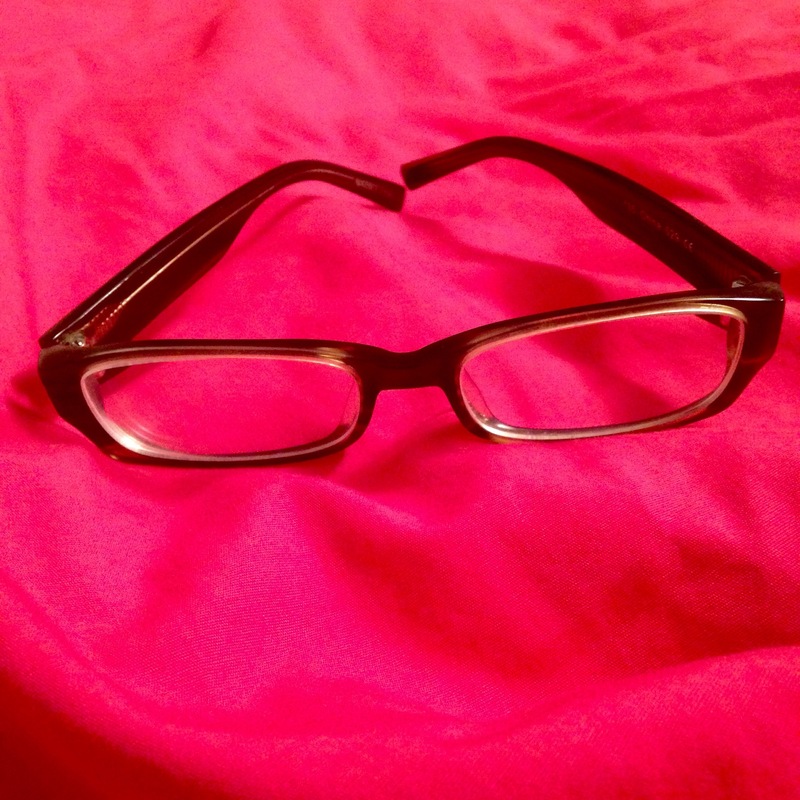 And it took me an absurdly long time to realize that the solution wasn’t to discard the glasses entirely because this pair wasn’t a good fit… it was to search until I found what helped me see clearly. Jesus is good and He is faithful. His word is true and never fails and I have seen that time and time again, including the time a little over four years ago where He built a bridge between me and a stranger and helped me find what it took to truly see clearly again. I sat in the church chairs those first few Sundays I attended that new and unknown church and I remembered as we sang the songs want it felt like to see the detailed edges of those big leaves on the trees, so high up. Life. It’s happening, and it’s changing, and it’s staying the same, and it’s all just so crazy and hectic sometimes. I am in a season of transition — in lots of way. With work, with friendship, with my heart. I feel God calling me to dig deeper, and grasp on tightly because the things He’s shown me and promised me will eventually come true. I don’t know the time, and I don’t know the details, and I don’t know how everything fits together, and to be honest that both scares and annoys me. Hello, my name is Krista, and I suffer from Type A personality. As soon as I get an idea, I want to plan out all of the details in detail. I was to make checklists and phone calls and secure all of the pieces of the plot so I can feel like I am in control. And God reminds me over and over and over again that it doesn’t work like that. Sometimes people don’t live up to the expectations you have for them. Sometimes your plans take alternative paths. Sometimes the path just gets so freaking blurry that you stop and cry it out. And then God adjusts your vision if you allow Him and you remember: you see what He shows you. Your job is to make sure you’re looking.